Abstract: Chronic Hepatitis C Virus (HCV) infection comprises a broad spectrum of liver disease, ranging from mild to more significant hepatitis that in time may progress to cirrhosis and hepatocellular carcinoma if left untreated. Genetic variants of interleukin 28B (IL28B; also known as interferon-lambda 4), inosine triphosphate pyrophosphatase (ITPA) and patatin-like phospholipase domain-containing 3 (PNPLA3) impact on liver disease severity in HCV-infected patients as well as outcome following interferon-based and interferon-free therapy. 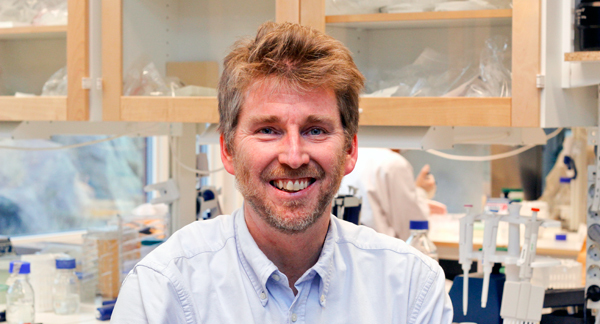 Bio: Martin Lagging is a professor in Clinical Virology and chief physician at the Department of Infectious Medicine at the Sahlgrenska Academy at the University of Gothenburg. He is also the Vice Director of Studies for the Institute of Biomedicine and a member of the evaluation panel of the Swedish Research Council for Medicine and Health 2015. Dr. Lagging´s major research focus is on chronic hepatitis C virus infection and the impact of genetic variants of interleukin 28B (IL28B; also known as interferon-lambda 4), inosine triphosphate pyrophosphatase (ITPA) and patatin-like phospholipase domain-containing 3 (PNPLA3) on liver disease severity in HCV-infected patients as well as outcome following interferon-based and interferon-free therapy. Dr. Lagging studied at Johns Hopkins University in Baltimore, after which he went to Karolinska Institute School of Medicine in Stockholm and was did a residency at Länssjukhuset Ryhov in Jönköping. He then did a 3 year fellowship at the Division of Infectious Diseases at the Saint Louis University Medical Center, followed by a PhD degree at the Departments of Virology and Infectious Diseases at the University of Gothenburg. He has been involved in a four clinical trials, as an investigator, steering committee member and as the principal investigator, and three of these trials are still underway. He´s received prestigious awards for his work, both the Pharmacia & Upjohn Research Award in 1998 and the AASLD President´s Choice Award in both 2005 and 2007 (American Association for the Study of Liver Diseases).